You are here: Home / Blog / Business Website / Is it time to step up to a VPS in 2016? At some stage in the hosting life cycle for Mission Critical websites, a time comes where a site owner can no longer accept the occasional ups and downs of a Shared Hosting platform. A fast, reliable and robust Hosting solution is required. A Virtual Private Server (VPS) is the next step up from Shared Hosting and is the perfect answer to those who require dedicated resources, uptime guarantees, and more control without being affected by their hosting neighbours. While a VPS is also technically hosted on a shared platform, a portion of the server has resources that are assigned to only the one user, which means no fighting for this resource allocation. The user also has the ability to gain full control over the server and make use of it however they’d like. Shared hosting, while it is the most popular due to it’s low cost, uses the same resources as their hosting neighbours. Websites hosted on a Shared Hosting platform are much more susceptible to their site going down as it pulls these resources in a “first come, first served” basis. If your intention is to host multiple or even one website with reliability and speed, a VPS is a must for you. There is a higher guarantee that your website will run efficiently and handle high spikes of traffic than if it were to run on basic Shared Hosting Server. https://www.websitedesignmorayfield.com.au/wp-content/uploads/2015/09/Logo-300x113.png 0 0 Admin https://www.websitedesignmorayfield.com.au/wp-content/uploads/2015/09/Logo-300x113.png Admin2016-01-05 18:22:002016-01-06 17:50:09Is it time to step up to a VPS in 2016? VPS? 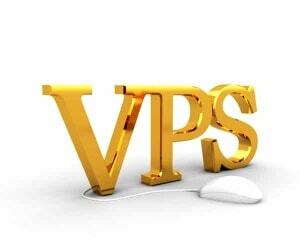 - What is a VPS?